We really do have the best couple massage in the Cleveland area! Our ridiculous amount of testimonials and online reviews prove it! SPRING SPECIAL – $160 – 1 hr (reg. $180); $190 – 75 min (reg. $210); $220 – 90 min session (reg. $240) – this is per couple. Our pricing will be increasing for our couple massages soon so this is a great time to get in. Other places around town charge MORE and do not even offer more than a simple regular massage. Our session provides the BEST VALUE because there is so MUCH in our session! Special ends April 15th at midnight (2019). Our Heavenly Stones Couples Massage has become our most requested service and the one that we are most known for. 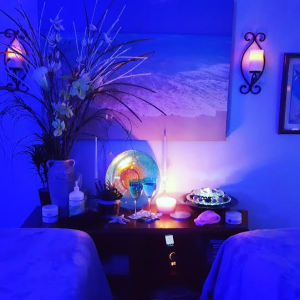 Our sessions are much more than just a massage – they are an experience. It is the reason that so many couples choose to come to us when they are celebrating an anniversary, birthday, holiday, or other special occasion. If you have never experienced a massage with warmed stones you are in for a real treat. The session is the ultimate when it comes to deep relaxation. Heated stones bring about an intense sense of peace and tranquility and the experience is deeply soothing and restorative. Warmed stones are used to help clear toxins, soothe the nervous system, and gently balance your body’s energy centers. 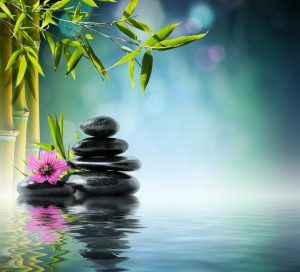 Your session also includes a wonderful foot massage (that is enhanced with stones) which increases your overall energy level and decreases your stress level. Then, we take it a step further by using the stones in areas where clients have built-up areas of tension or discomfort to perform varying levels of deep tissue work. Clients report feeling super relaxed and rejuvenated. Many clients tell us that they are able to sleep much better for days after their session. I always get tickled when people make faces over our mention of hot stone therapy. I swear people think we are going to put piping hot stones on their body! LOL. We simply enhance your massage session with WARMED stones that feel like heaven on earth! You are getting a real, therapeutic massage but the warmed stones mixed in provide soothing comfort, deep tissue work that FEELS better to you, and a level of relaxation that cannot be achieved with any other massage modality. All of our clients are very pleasantly surprised at how wonderful the warmed stones feel during their massage. As a result, our Heavenly Stones Couples Massage is the session that we get the most referrals for. Clients contact us and ask for it by name. We have some of the best client testimonials in the area. You can find client reviews on Google Business Pages (Maps), our Facebook page – https://www.facebook.com/HeavenlyHealingHandsMassageTherapy/ and on our website at http://www.ohiosbestmassage.com/testimonial/. The testimonials on our website are from post-session review sheets clients fill out so we try to update the website with them as fast as we can. By the way, we currently have an entire folder of new client testimonials from the office that have not been entered (because we have been very busy this year so far)! We respond to texts and phone calls between the hours of 6 a.m. and 11 p.m. daily – even on the weekends and holidays. Texts are responded to first. We offer daytime, evening, and weekend appointments (and yes we can do Sundays). A deposit is required. All sessions are scheduled ahead of time – no walk-ins. You may reach Donna by calling or texting 216-640-6851 to schedule your session.